Bentley makes some of the most luxurious cars on the face of the earth. But luxury is not the only thing Bentley does well. The British luxury carmaker does speed well too. 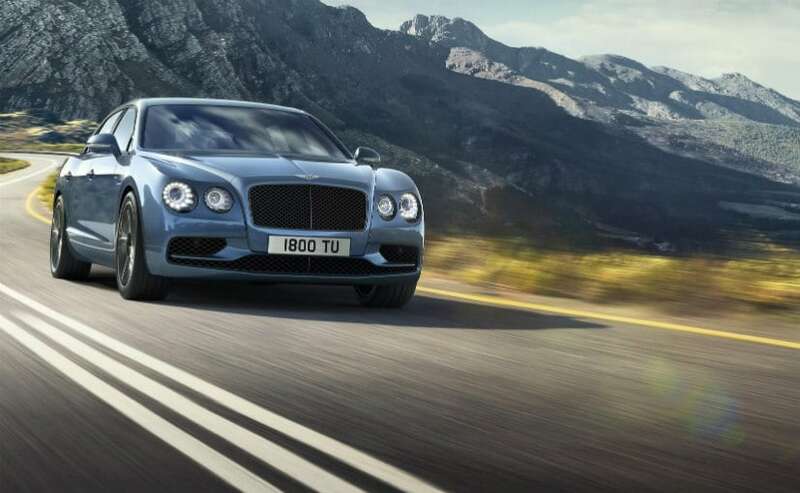 It recently announced the introduction of the Flying Spur W12 S. It is the first ever Bentley model to have a top speed which goes above 300 km/h, which is 325 km/h to be exact. The 0-100 km/h is done in a mere 4.5 seconds. The reason behind this blistering speed is the behemoth of an engine which displaces 6.0-litres and is a twin-turbo W12, meaning there are two V6 engines spliced together. The engine makes peak power of 626bhp and has a peak torque of 820Nm. What’s surprising is that the torque is available from just 2,000prm.This makes for great drivability. Power to the wheels is delivered via 40:60 rear-biased torque split. The customers can also specify their cars with the optional carbon ceramic disc brakes that can be painted in red or black. The interior is as luxurious as it can get with a choice of 17 hide colours for upholstery along with contrast stitching and the diamond quilting. One can also opt for an innovative touch screen remote that can be operated from sitting at the rear seat. Customer deliveries of the new Flying Spur W12 S will commence at the end of the year.